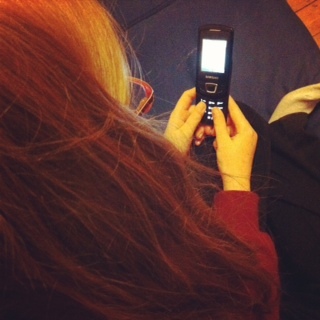 Text Speak – A guide for grown ups written by kids (well a kid). Do you not understand text speak? The reason why kids use Text Speak is because typing on a mobile phone can be extremely hard. On my mobile phone I have to tap a button 4 times in quick succession to get the letter S. Blackberrys have minute buttons. iPhones on the other hand I personally find rather easy to use and if i ever text on either my mum or dad’s phone I don’t use text speak at all (mostly). However many people are not lucky enough to own this Apple luxury and resort to making words shorter to save time and effort. And thus Text Speak was born. 3. If aliens ever invade they won’t konw what we are going on about. : ) = A Smiley face. January 19, 2012. 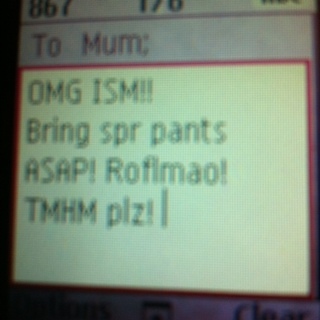 Tags: kids, text, text speak. Top Tips. January 19, 2012 at 8:58 pm. Permalink. Brilliant! I always knew Pandas were smart. January 20, 2012 at 11:14 am. Permalink. January 22, 2012 at 8:21 pm. Permalink. OMG. Are emoticons ok for grown ups to use :S I’ve never really been sure about that one 🙂 Not only a great post, but also very informative for someone of my vintage!! January 30, 2012 at 11:55 am. Permalink. Anyone can use emojis! Just don’t overuse them because they can get boring. And don’t try too hard be cool because it will sound unnatural and slightly pathetic. But if you just use them when it seems right then that’s fine. However you could ignore my advice completly. It’s a free country and I’m not the boss of you. January 30, 2012 at 7:09 pm. Permalink. ooo I hadn’t heard ISM before! Gawd I am officially no longer ‘down wid da kidz’ ! January 31, 2012 at 11:24 am. Permalink. January 31, 2012 at 7:04 pm. Permalink. Thank u 4 simplifying the world. Never 2 old 2learn. (or too young). February 21, 2012 at 11:01 am. Permalink. I didn’t know half of those and I AMN A KIRD! May 5, 2012 at 10:44 am. Permalink. Txtspeak versus T9, which is faster? On my 1st phone that had T9, I diddn’t have a clue – my old one was a brick, and never had it. Having got to grips with how T9 handles, and using word predictions, I don’t know if txtspeak would be any fewer taps. Also, with T9, every word is correctly spelt – of course, with the possible T9 prediction oddities, it may end up as nonsense, but at least it’s correctly spelt nonsense. PS. Apologies, looking for T9/autocorrect errors may lead to some NSFW language. August 5, 2012 at 12:46 pm. Permalink.